Although choosing an ironing board is probably not going to be the biggest decision you make this year, there are definitely some interesting features worth considering if you are in the market for one. Ironing boards have come a long way since the days of June Cleaver. 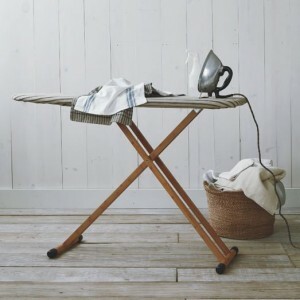 If you iron a lot, tend to iron large items like curtains or sheets, or are a quilter or crafter, you are very likely already aware of some of the features available in ironing boards and you are going to choose carefully. Chances are you will have your ironing board for a very long time, as the better ones don’t generally wear out. If you buy one with an annoying or missing feature, it will irritate you every time you use it. We learned a lot about ironing boards during our research for this review. We assure you, you will likely learn a thing or two here as well. This review is not an exhaustive coverage of every board available because there are too many on the market, but it does cover several boards we deemed worth considering to fit different needs. We reveal the overall best ironing board, the best ironing board for the money, and the best ironing board on a budget. This is considered by us the best ironing board on the market! The Rowenta Pro Compact is our #1 pick because it includes some differentiating features. It has an extra large ironing surface that also folds easily for storage. Plus it has an extra sturdy frame that contains some convenience features like hanger racks. 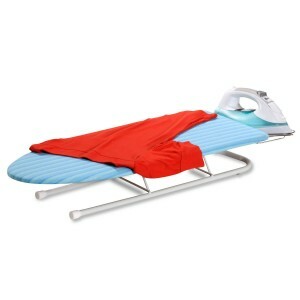 As a result it is a great ironing board, in particular, for people who iron regularly and have larger items to iron. That said, the cover is an ill fit, which is frustrating given its price. But even though it doesn’t have all of its kinks ironed out yet (pun intended), we still choose this as the overall best ironing board because its other features make up for it. It does necessitate spending a little more money than you would on an average board, but for ironing aficionados, it will be worth the investment. For these reasons, we choose this as the best ironing board overall. The Brabantia is a very popular ironing board and provides a very good balance between price and features/quality. It is standard in length but is extra wide. 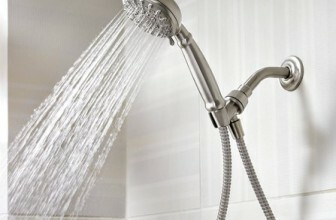 In addition, it adjusts to different height to accommodate different users. It also has a nice safety-locking mechanism for those who have little ones. The product also comes with a 10-year warranty. It is very reassuring to see that Brabantia stands by its products. The adjustment mechanism isn’t as user-friendly as it could be but, overall, this ironing board is sturdy and well made. It seems to pass muster with the most exacting customers. For these reasons, we choose it as the best ironing board for the money. There is no excuse not to have an ironing board when a product such as the Honey-Can-Do exists. This is an excellent option for those who are on a budget, need a space-saving option, iron infrequently or are looking for a starter unit. It’s compact, affordable and easy to store. 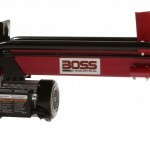 Plus, we are impressed that such a small unit includes an iron rest. Naturally with a budget product, you should not expect it to be world-class quality. The board likely won’t last a lifetime but you probably aren’t expecting it to. In general, there are some issues with the quality of materials used in the Honey-Can-Do and its construction. The board feels cheap overall, and depending on the type of iron you have, the rest may not be sturdy enough to hold it. That said, it will get the job done just without a lot of fanfare. For these reasons, it is our top pick for best ironing board on a budget. Naturally, one needs an ironing board to iron clothes, curtains, and other fabric items. One only has to attempt to iron on the floor or a table to realize the necessity of an ironing board. That said, those who iron frequently, craft, quilt or sew, understand that selecting an ironing board with the right features is serious business. There are a lot of ironing boards on the market, including full ‘systems’ that can cost you several thousands of dollars. (But don’t worry, not the ones in this review!) Performing the appropriate due diligence can take a lot of time so we have put together a basic buyer’s guide to help you find the right board that won’t break the bank. Most people don’t think ironing is fun and we aren’t trying to change your mind about that. We do believe that finding the right board can make the job easier and faster, and thereby less of a hassle. The following guide is a great starting point. There are several key things you want to consider when in the market for an ironing board. That being said your final selection will dependent, to a certain extent, on personal preference. It needs to provide a solid, balanced surface to perform properly. Several sizes are available so one must consider the types of items that the ironing board is needed for. For example, regular-sized clothes vs. extra-large or extra tall garments. Curtains, table cloths and sheets. Quilting or sewing projects. The standard length for boards is generally 49” with the shortest boards landing around 43” and the longest around 54”. In terms of width, 15” – 18” is quite typical with small boards falling closer to 12”. It must hold up to the frequency and type of use you intend it for. Consider whether you require an iron rest, safety lock, garment hangers, height/length adjustment, compact storage, etc. Ease of use: It should collapse/fold easily. The cover should fit nicely and lie flat. Extra features should be intuitive and not cumbersome. The selection of products available means you can find one right for your budget. Noteworthy is that we saw each of the boards reviewed go on sale. You can sometimes save quite a few dollars if you wait for a sale. We consider the Rowenta Pro Compact Ironing Board to be the best overall ironing board. It does very well on all of the key features. It is available for around the $280 mark and we say it’s worth the money. Particularly if you are a serious ironer, this is a worthwhile investment for something that will last you many many years. And even if you aren’t a serious ironer, the extra large surface just makes ironing easier! The Rowenta Pro Compact has several nice features that you won’t find in every ironing board. The extra large surface (54” X 18”) provides 5” of extra length compared to a standard size ironing board which makes ironing an easier endeavor, especially if you iron over-sized items. When you want to store it, the end of the board folds over for easy and compact storage. The Rowenta Pro Compact is very sturdy and stable. The smart design of the back legs mean that you don’t have to worry about any wobbling while you are ironing. A typical board has one front leg and one back leg, but this board has an extra back leg, which adds to its stability. Further the legs are all rectangular in shape (as opposed to tubular) making it sturdier. The board also boasts an extra thick cover and under pad. The Rowenta also has some nice ‘extras’. It has a stable iron rest and a large steam station. It also includes hanger racks to hang extra garments waiting in the queue. Further the board is on wheels, which makes it easier to maneuver when you are trying to stow it away. In general, this ironing board feels robust and of high quality. The materials are solid and craftsmanship is sound. You would never be accused of having a cheap ironing board with the Rowenta Pro Compact in your home. The Rowenta Pro Compact has a couple, of what we consider to be, minor issues. It is on the heavier side, which you might expect in a stable, sturdy board but this impedes maneuverability. AND you definitely need two hands to collapse it. Further, we were quite surprised to find that the cover isn’t a great fit. You have to smooth it out before using the board to make sure you aren’t ironing on top of wrinkles. This is a frustrating feature. Lastly, the user guide is printed pictures on cardstock. This will work for some people but others may prefer to read instructions. 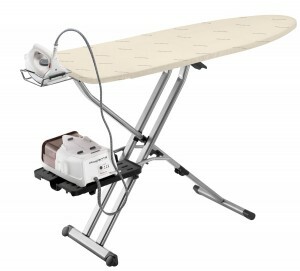 Extra large sized ironing surface makes ironing easier, especially for oversized items. The cover is not a perfect, taut fit. This Brabentia ironing board is also a very good option for those looking for a high quality product. It is available for around the $160 mark and is definitely the best ironing board for the money. Although it doesn’t have as many bells and whistles as the Rowenta, it will still do more than a fine job. The Brabentia definitely holds its own in the ironing board world. Its ironing surface is a nice size at 49” long and 18” wide which is considered extra wide. Unlike other ironing boards, it comes with a 10-year guarantee. Another feature we really like is that the cover is a really snug fit. So unlike the Rowenta, there is no danger of you trying to battle wrinkles on the cover when you are trying to iron a garment or textile. Further the steam rest is nicely designed. It is sturdy and allows you to rest your iron in a couple of different positions so it works well if you are left- or right-handed. It also has several features you won’t find in other boards. These include a child-safety lock which prevents the board from collapsing accidentally. This is a very nice perk if you have little ones you are worried about. As well, it has a separate lock to keep it folded for storage so it won’t inadvertently open. Anybody who has had an ironing board fall open on them when they are carrying it one-handed with a basket of laundry in the other arm will definitely appreciate this feature. The storage lock is a really nice bonus feature. Something like this won’t make or break your purchase, but you’ll appreciate it once you have it. You can also adjust the Brabantia board’s height to accommodate four different users. They heights range between 30” – 38”. Most boards are stuck at the tallest level – 38”. We found few weaknesses with the design, function or aesthetic of this ironing board. The mechanics of the height adjustment could be a little more intuitive but once you master it, it’s fairly easy. Some may prefer a solid color cover since the circle pattern can show through lighter fabrics and may be confused for wrinkles. That said replacement cover designs are available so it’s a fairly easy fix. The Brabantia’s price may be a bit steep for those who haven’t experienced anything beyond a very standard ironing board. Ironing isn’t fun for most but the Brabantia can make it a lot easier. If this board is a little out of your budget, we recommend keeping your eyes out for a sale. You won’t regret bringing this one home. Overall we have no serious reservation recommending this board as the best one for the money. It’s a very solid, safe bet. The ‘extras’ – child safety lock, storage lock, height adjustment. We consider the Honey-Can-Do a great option for those on a budget, but it is also perfect in several other scenarios. For example, if you live in tight quarters, the compact and collapsible design of this board will make it perfect for you. Furthermore, if you are an infrequent ironer, this board could also work very well for you. It is ideal for wrinkle-conscious college students. Coming in at about $15, it is very affordable to most. Of course, if you are seven feet tall and wear pants that you plan to iron, this is not the board for you. Naturally a clear strength of the Honey-Can-Do is that it’s compact. 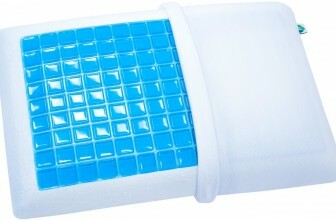 At 31” long and 12” wide, it will not take up a lot of space when you are using it or storing it. It is also designed to be used on a tabletop, again a great feature for those living in tight quarters. But regardless of your space, with the Honey-Can-Do you won’t go through the hassle of finding space for and setting up a big board. Some people just don’t want to deal with a large, cumbersome board, and this is certainly not that. When you are using the Honey-Can-Do board, it extends in height by about 6”, but when you wan to store it, it collapses completely flat. This is great if you want to store it under a bed or dresser or even slide it into a cabinet or closet. We were VERY impressed that this board includes a retractable iron rest but were very skeptical about its functionality. We thought the weight of an iron would tip it, but this was not the case! It held sup. The board also comes equipped with a cotton cover and foam underlay. While not fancy, they are functional. The final, and very considerable, strength is price, price, price! The fact that you can get an ironing board for $15 will get some people very excited. Although its size is certainly a strength if you want a compact board, the size of the Honey-Can-Do will be an immediate deal-breaker for many. It is small. Once you experience a full-size board, this one would be difficult to move to. Quality is another serious weakness. This board will not hold up well to daily, prolonged use. It just isn’t designed for that. The materials and construction feel much cheaper than the Rowenta and Brabantia. 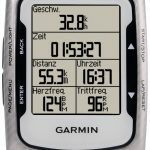 It is designed for those on a budget and that’s what you are getting – a budget product. The cover feels a little cheap. The iron rest is slightly wobbly. The board itself is plywood. We stand by this ironing board as the best one on a budget. We also stand by it as it as the best space-saving ironing board but we want you to go in with eyes wide open. It is not going to last a lifetime. Considering that an ironing board will be a part of your household for many years, it is important to choose one that will fit your needs. After all, once purchased, your ironing board will be used for many years to come. The last thing you want to do is groan when you pull it out, brace yourself when you unfold its screechy legs, and curse that darn flimsy, thin cover. For folks on a limited budget, the ironing board on a budget (the Honey-Can-Do) is the one we recommend; however, if it is possible to stretch the budget to afford something of a little better quality and a little more functionality, you won’t be disappointed. Ironing is a chore, but a well-designed, high quality board can make it feel less like one and, better yet, can make the chore less time-consuming. If a nice board can shave time off a chore enabling you to spend time on something else, then we say it’s worthwhile investment.